Limited Edition Box Set includes 4 CD's, 1 Colored Vinyl, 1-16 Page Book and 2 Tour Programs. SKU: CLP2345CD. Categories: Cleopatra, Rock, Vinyl Box. 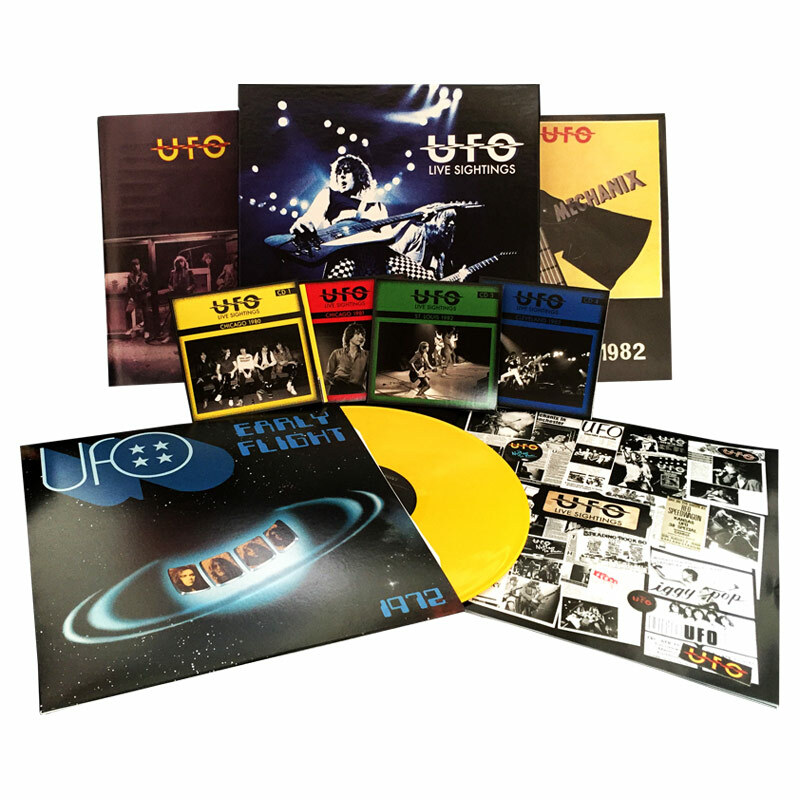 A super deluxe 4CD box set of magnificent early ’80 live performances by one of the all-time greatest rock bands to ever take the stage – UFO! 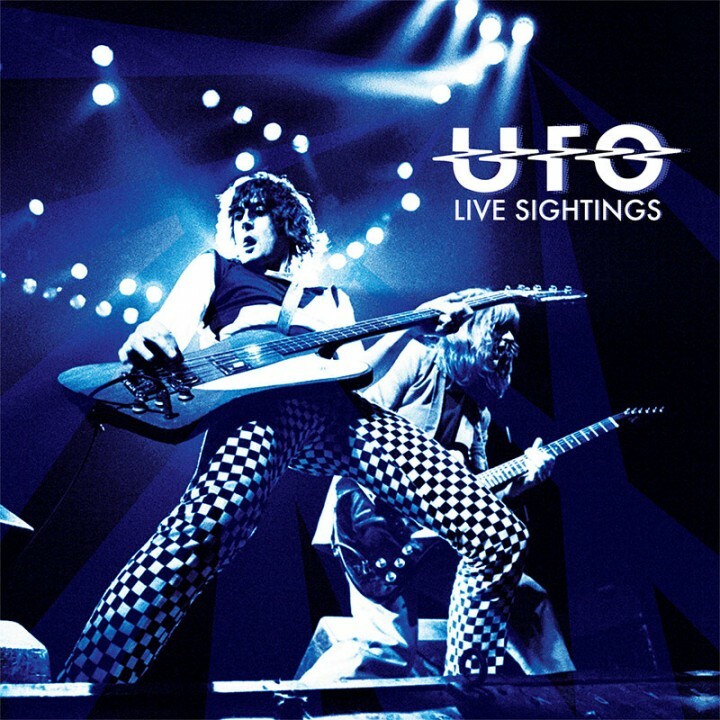 • Founding members Phil Mogg, Pete Way, and Andy Parker are joined by Paul Chapman and Paul Raymond, and Neil Carter as they blast through the highlights from No Place To Run, The Wild, The Willing & The Innocent, and Mechanix as well as their smash hit singles “Lights Out,” “Doctor, Doctor,” and more! 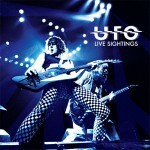 • Features a gorgeous 16 page booklet plus carefully duplicated printings of two vintage tour programs! • Each CD comes in its own mini LP jacket with printed inner sleeve! • Includes a bonus live LP of unreleased recordings from 1972 with legendary Pink Fairies / Motörhead guitarist Larry Wallis! Available in Yellow, White or Blue Vinyl!